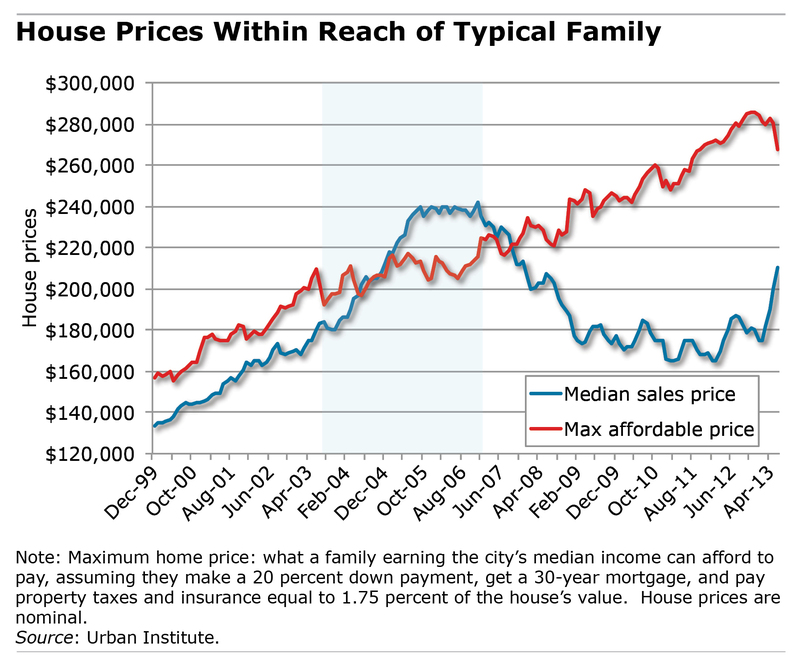 But affordability still varies greatly, depending on where you live. The Urban Institute calculated how prices in individual U.S. cities compared with prices in the early 2000s, before the housing boom. Buying a house is even harder today than it was then for families in Seattle, Dallas and Washington, D.C., but houses are more affordable in Oakland, Chicago, and Orlando. In the past year, as this chart also shows, median sales prices have shot up as rising interest rates have increased the cost of borrowing. 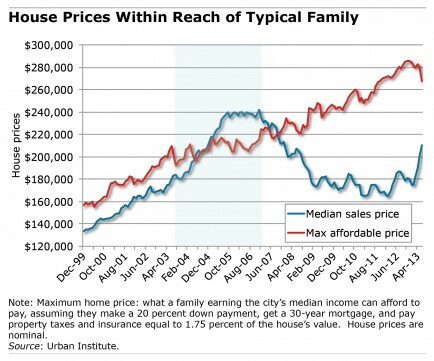 This raises the question: how long will this period of affordability for some last? One Response to Homes More Affordable – For How Long? Owning your own home is always the prudent call if possible. We have to move away from the short term idea that a house is a temporary investment because it is not.